Agents of S.H.I.E.L.D. 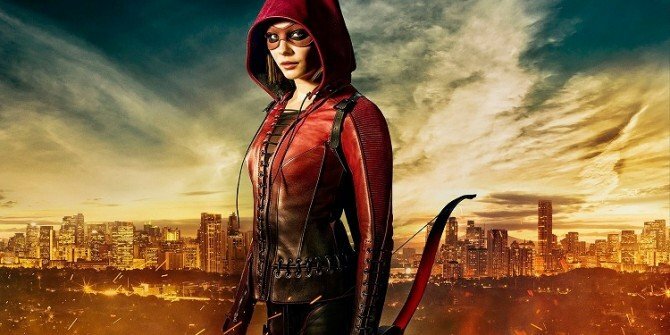 star Chloe Bennet recently made some very public complaints about the way Marvel Studios has essentially ignored the ABC series, and now Arrow star Willa Holland has also spoken out, making clear her displeasure over the fact that The CW show is being kept very separate from the DC Films Universe. Talking at the MCM Comic Con in London today, Holland explained why she wishes shows like Arrow and The Flash weren’t being ignored by Warner Bros. and expressed some frustration over the fact that the studio’s big screen plans for Suicide Squad are what led to characters from the movie who were appearing in Arrow being killed off. Holland then went on to echo the thoughts of many other people involved with these DC TV shows by pointing out that she believes both Stephen Amell and Grant Gustin should have been asked to reprise their roles in Justice League, an idea Batman V Superman: Dawn of Justice director Zack Snyder was quick to shoot down earlier this year. Ultimately, the way both Marvel and Warner Bros. handle the connections (or lack thereof) between their big and small screen projects is extremely frustrating, and it doesn’t seem as if things in that respect will change any time soon. Still, the Arrow star makes some valid points here, and it will be interesting to see if anyone at the studio listens to both her and the fans.